These aftermarket Black Fold-Away Mirrors look great on the Early Bronco or Full-Size Bronco. 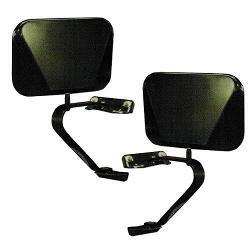 They feature a three-position cam and come with all mounting hardware and gaskets. Excellent visibility for street and four-wheeling. This is an aftermarket add-on piece, not designed to directly bolt into your factory bolt holes. 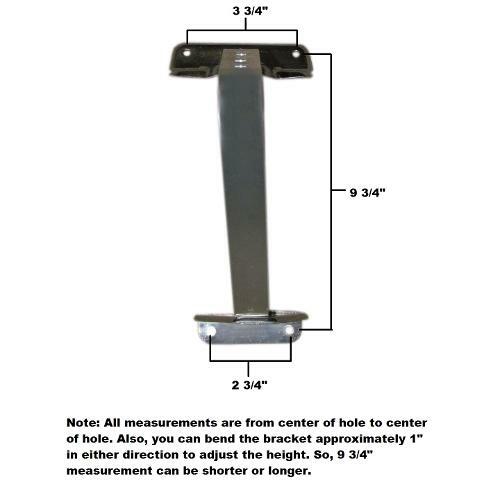 Bolt mounting pattern on brackets: top is 3 3/4" Bottom is 2 3/4". Fits 1966 to 1996 Ford Broncos (Aftermarket) May require drilling for mounting holes.